A few months ago we had some hassles in Obs with criminals stealing car wheels. Eventually it was happening almost nightly. The Neighbourhood Watch (I’m a member, how responsible of me!) started ramping up their patrolling and putting pressure on the police to catch the guys. Within a few days a sharp eyed policeman spotted something trying to hide next to a car with a wheel spanner in his hand. Within minutes they had 4 guys in custody… I was out on a patrol at the time, ironically one road up from where the guys were eventually caught. 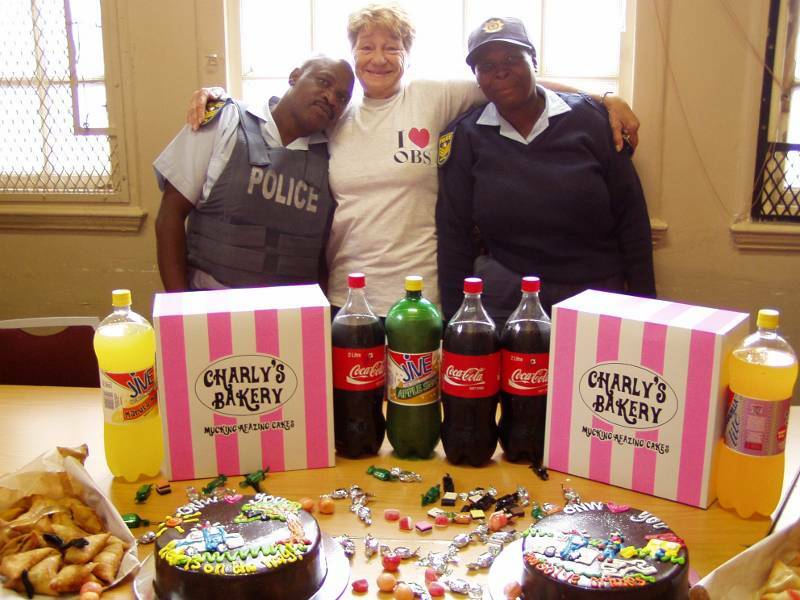 That night at the Woodstock police station I promised to organise some cake for the police to say thanks. I pinged a few of the more active neighbourhood watchers and a few agreed to help out financially… Then I though about Charly’s! 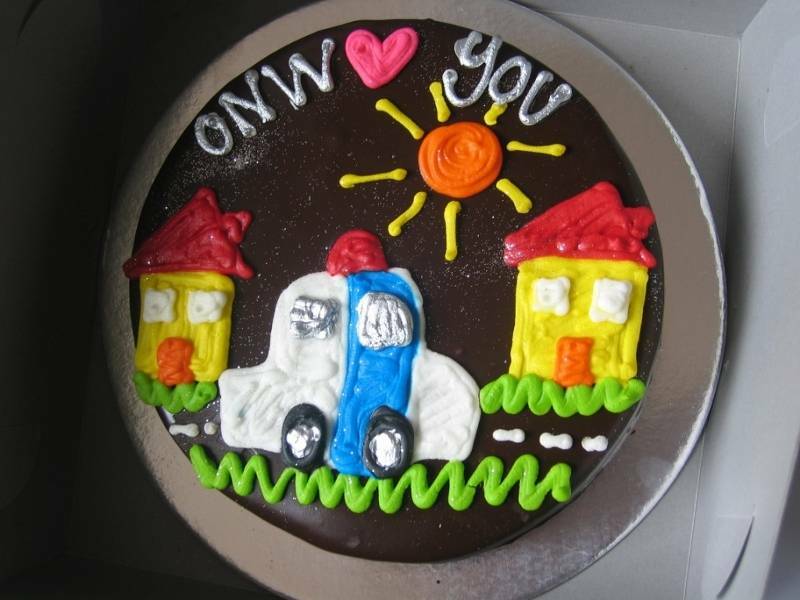 If you want awesome cake you have to go to Charly’s, but it’s not cheap. I mailed Charly’s and asked if they’d be willing to give us a discount for a good cause. To my surprise they said they’d give us cake for free! This was brilliant. We used the additional funds to buy other stuff like samoosas and coke etc. 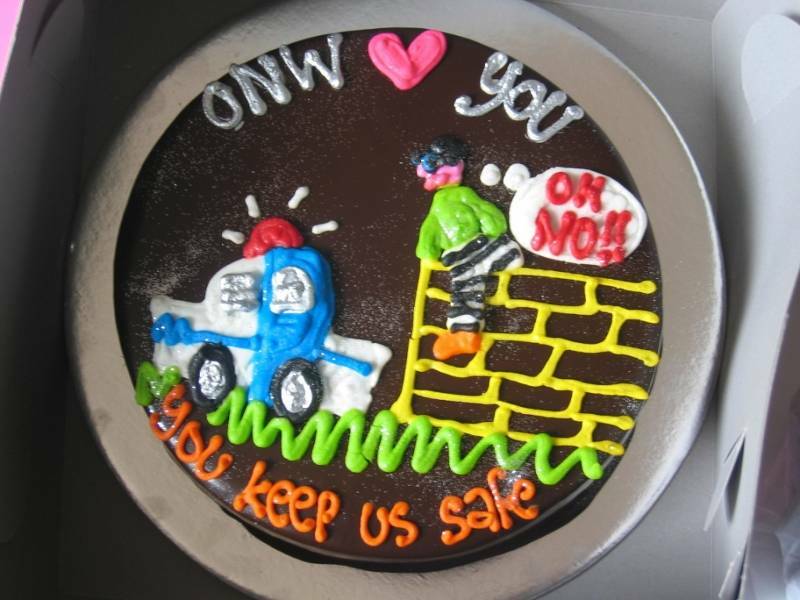 To our absolute surprise, when we went to go and collect the cake they had even decorated each one with a police theme! All in all a nice little party (we actually had two parties to cover both shifts). A big thank you to Charly’s and the other ONW members who helped out. Rooting a Vodacom HTC Magic and upgrading the firmware in South Africa to get Android Market and more. Well done. If only we, the public gave credit where credit is due. As a member of our local crime forum, I get the feeling that due to the bad press caused by a minority in the force, many cops have lost the impetus of pride in their work. Lets join together and show our appreciation when a job’s well done!